Jerry Bruckheimer's sprawling tale of love blossoming amidst the chaos of war. Rafe McCawley (Ben Affleck) is a gung-ho US pilot whose determination to fly against the enemy leads him to Europe and active service in the Battle of Britain. 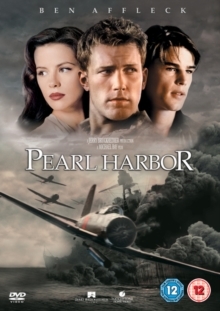 His girlfriend Evelyn (Kate Beckinsale) is left waiting at the Pearl Harbor naval base in Hawaii, and before long tragedy strikes, with the news reaching Evelyn that Rafe has flown off to the great aircraft hanger in the sky. Heartbroken, she is comforted by Rafe's best friend Danny (Josh Hartnett), and romance soon blooms between them. Meanwhile, the Japanese are preparing their forces for the attack which will trigger the US entry into World War Two.